Truth be told, happiness is not the absence of problems, but the ability to deal with them. Imagine all the unexpected things might not have happened if it weren’t wrapped so tightly around your great hard work and struggles. 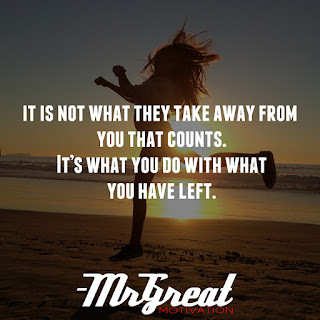 Always look at what you have, instead of what you have lost. 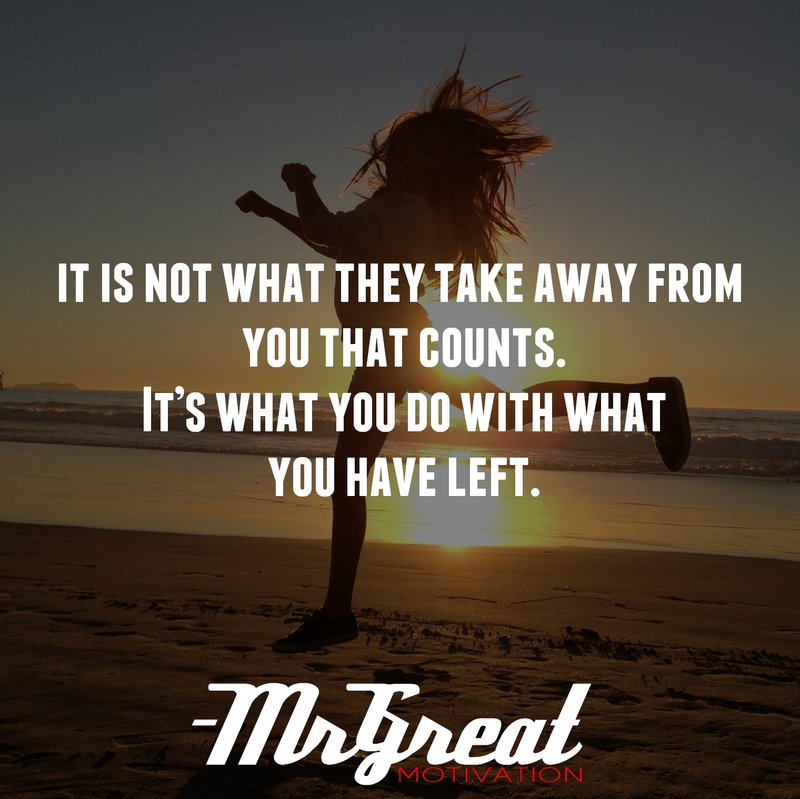 Because it’s not what the world takes away from you that counts; it’s what you do with what you have left. You’re going to be freaked out if you’ve lost something important in life. But you’re going to have a harder time from overcoming it if you’re all stressed out. Try to relax before you start looking for your left opportunities so you have a clear head. Just as we trick ourselves into believing something will make us happier than it will, we also deceive ourselves into believing something will be harder than it will. The longer you procrastinate doing something, the more painful it becomes. Once you start taking action, the discomfort is far less severe than you imagined. The problem with dread and fear is that it holds people back from taking on great challenges. If you feel the need to have more to compensate for something missing in your life, you’ll always be left wanting no matter how much you accomplish. Seize it what we have left. Do it now. Stay Motivated.